There are many different types of loans available on the market however this doesn’t mean that they will all be the right choice for your needs and circumstances. From short-term payday loans to long-term loans arranged with your bank, deciding what type of loan you need is one of the main factors you need to take into consideration when taking out a loan. Many different factors will influence the type of loan you need and to help you narrow down your choice below are some of the things you need to take into consideration. One of the most important factors you need to take into account is deciding the amount you need to borrow. If it is a small amount you might be better off putting it on a credit card, however if it is a large amount you need to borrow you would probably have to get a loan through your bank or another reputable financial institution. Also keep in mind that you should never borrow more than you need, even if more money is offered to you. 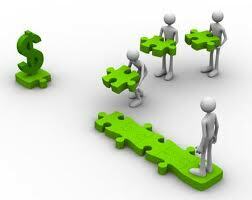 Another important factor that will impact the type of loan you take out is how quickly you need the money. 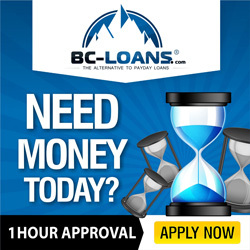 If it is a sudden emergency, for example your car has broken down, and you only need to borrow a small amount of money that you know you will be able to pay off in full quickly then you should probably look at getting a payday loan. If, however, you need to borrow a large amount but you do not need the money immediately, then you should consider getting a loan through your bank. Knowing how quickly you can foresee yourself paying back your loan will also be a vital factor in deciding what type of loan you need. If you know that it will take you a while to pay back the loan then you need to spend time looking for one that has a low interest rate. If, however, you can pay your loan off in full within a month then a credit card or a payday loan would perhaps be a better option for you. The important thing here is to not overestimate how quickly you can pay back the loan, as unless you are completely honest with yourself it could result in you getting into further debt. You should also factor in a plan for worst case scenarios, such as losing your job or long-term illness, which will impact on your ability to pay back your loan. This means that when taking out the loan you should speak to the creditor about what would happen if you are unable to make payments or if there are steps they take to help those who are suddenly unable to make repayments through unforeseeable events.